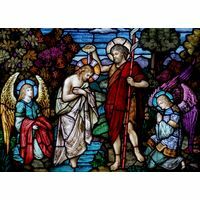 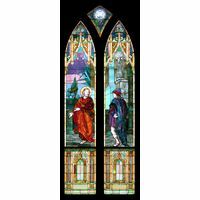 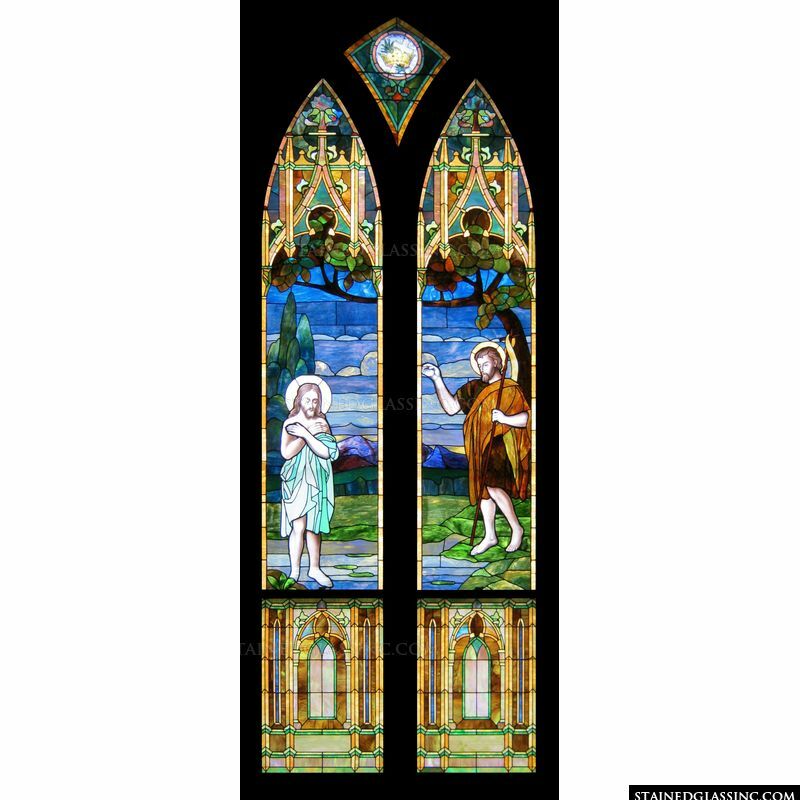 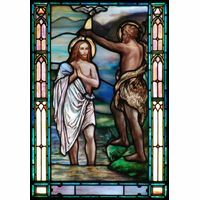 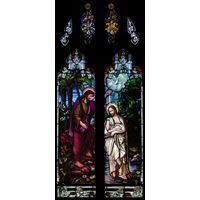 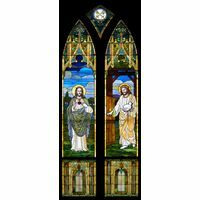 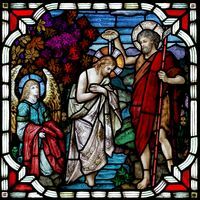 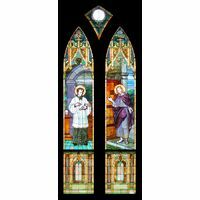 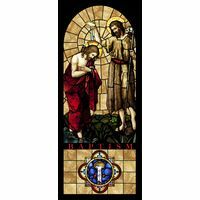 This inspirational stained glass panel for your church or home beautifully pictures John the Baptist and Jesus in baptismal waters. 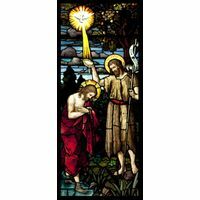 Fraught with emotion, this evocative stained glass rendering of this sacred event dazzles the eye and stirs the soul. 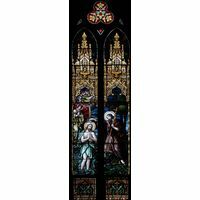 Rich, vibrant colors and natural, varied textures blend with flawless imagery and detail in design to bring to life this holy experience in the life of Jesus, created in the classically antique style of cathedral stained glass art, extraordinary and artistic as it enhances every area of prayerful worship and devotion. 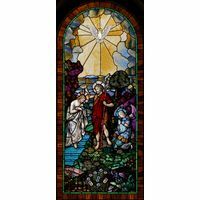 The colors and textures of this stained glass window catches rays of light as they play across the surface, beaming through the lovely panel and reaching into every corner with inspiration. 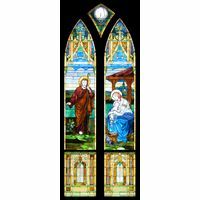 Created as a one of a kind work of art, this stained glass art was crafted by master stained glass artists in the studios of Stained Glass, Inc.